Has Hon. Mulusa Become Unlucky? | Elias Munshya, LL.M, MBA, M.DIV. Elias Munshya, LL.M, MBA, M.DIV. Has Hon. Mulusa Become Unlucky? Our republic can have no better politicians than the promise epitomised by young and educated leaders such as Hon. Lucky Mulusa. We are better and we will better as a nation if people of Mulusa’s calibre are encouraged to participate in politics. They bring a breath of fresh air to the political scene. When dinosaurs, that have no idea of modern economics, represent a generation of politics it is vibrant people like Mulusa that the nation can fall back on. However, in order to help Mulusa live up to his potential greatness we all have seen in him, it becomes important, actually critical to ask ourselves, has he become unlucky. This question is necessary now, especially in view of the unnecessary squabbles currently prevailing in the MMD. I am of the opinion that Mulusa is likely to emerge damaged after this debacle. He must quickly reevaluate his role in the confusion. Otherwise, he could lose the little respect he currently has in the minds and hearts of some Zambians. I say so for several reasons. The people Mulusa seems to have joined in fighting Nevers Mumba have played him. I seem to get Mulusa’s argument. He believes in the potential and greatness of the MMD. He believes that the party can do better but cannot do so as long as Nevers Mumba continues to be at its helm. However, this message of his love for the MMD now has been overshadowed by the fact that the other rebels are alleged to have had secret meetings with State House and with senior Patriotic Front leaders. In fact, Hon. Chituwo has confirmed that he had such meetings and so has Hon. Kaingu. We are not privileged to know the motive for these meetings, and the gist of these meetings could be removed from the problems in the MMD. However, these meetings create a reasonable apprehension in the minds of some Zambians and some MMD members that the Patriotic Front is actually sponsoring the people fighting Nevers. The real casualty of such perceptions is actually Mulusa himself. I doubt whether he knew of these meetings. If he did know about them, but nevertheless, went ahead to scheme with Siliya, Kaingu, and Chituwo then I would doubt his judgment. However, if he had no idea that the PF leaders were meeting his colleagues then I would doubt his political competency. Dora and her colleagues have played Mulusa and his message has now been so mired in quagmire that it will take some more work for him to redeem himself. He could be running out of luck. The timing is not right for Hon. Mulusa to lead a rebellion against Nevers Mumba. This is barely 2 years after the MMD lost power in 2011. Having the MMD begin fighting now will only weaken it further and make the death of the MMD inevitable. Lucky Mulusa does seem to still have some more fighting to do, but beginning them this early will only finish him. Hon Mulusa is not making sense politically when he claims that Nevers is irrelevant to the MMD because he caused the party to lose a ward election in Mpulungu in February. According to Mulusa, he believes that the MMD should be able to do well in the North because Nevers comes from there. The problem with the MMD is that they have a very popular opponent in the PF’s Michael Sata. Sata, in spite, of the economic failure in Zambia still remains a very formidable and personally popular candidate in the North. Currently, there is no politician who can dislodge Sata from the North. This is not Nevers’ problem. Additionally, Mulusa alleges that since Nevers is not that popular in the North this should be the reason to leave the MMD presidency. I doubt this kind of reasoning. 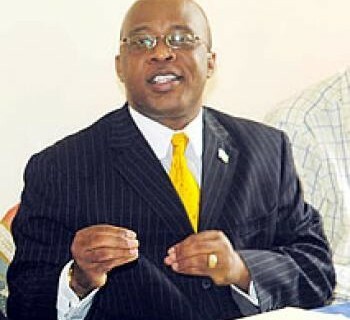 Nevers Mumba is MMD president because he went to the convention and overwhelmingly beat his rivals. Those elections matter just like any other elections do matter. To claim that Nevers has never won an election when the guy had just beaten five other contestants in 2012 does not help Mulusa with his argument at all. If Hon Mulusa believes that only parliamentary elections are the real elections, may be this is the time to doubt then whether Mulusa himself has lost relevance since the last time he ran for parliament, his seat was nullified due to electoral corruption. There is a lot Mulusa can offer Zambia. But this route he has taken will only lead to his political demise. My advice? Mulusa should cool down. Take it easy and fight for the people of Zambia instead of fighting Nevers Mumba. Mulusa has already done some remarkable things in both parliament and outside it. These are the kind of fights; they want him to continue championing. Many Zambians do not believe that Nevers Mumba is the greatest of their problems. The greatest problems for Zambia are things such as the value of the Kwacha, out of control inflation, the stolen constitution and corruption perpetrated by the party in power. That being the case, the perception that it is the Patriotic Front sponsoring the anti-Nevers campaign in the MMD does not augur well at all. Nevers and the MMD needed an enemy to fight, and they have just been given that punching bag – the so-called anti-Nevers group. They will now use these anti-Nevers individuals as whipping boys (and girl) for the broader campaign to highlight the misdeeds of the Patriotic Front. This message might resonate with Zambians and entrench Nevers in the minds of many Zambians even deeper. Hon Mulusa’s star should shine, but if he continues on this path, he might just run out of political luck. Or may be Lucky Mulusa has already become unlucky! After the Cobra: What does the law say about Vice-President Guy Scott? 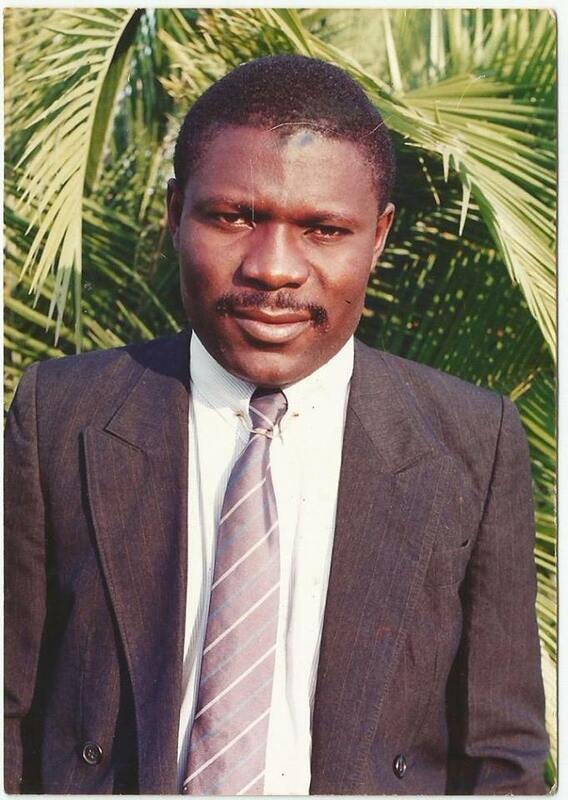 E. Munshya, LLB (Hons), M.Div.